A team of wetsuit-clad divers sit on the edge of a boat adjusting their masks before splashing into the cold waters of the Pacific Ocean. These divers belong to a specialized scientific research team–and the marine reserves are their living laboratories. 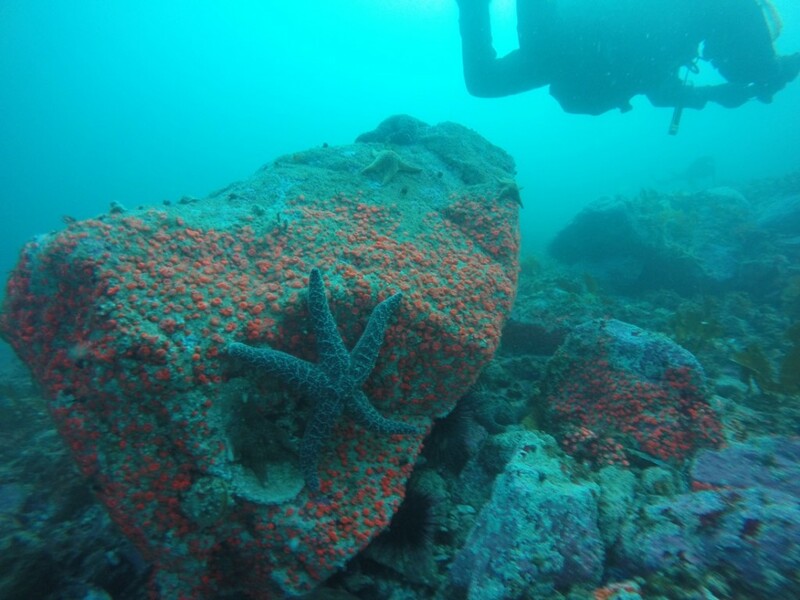 The team’s mission: to survey the shallow rocky reefs of Oregon’s marine reserves. This team is trained to collect data in an environment that is often challenging to work in. 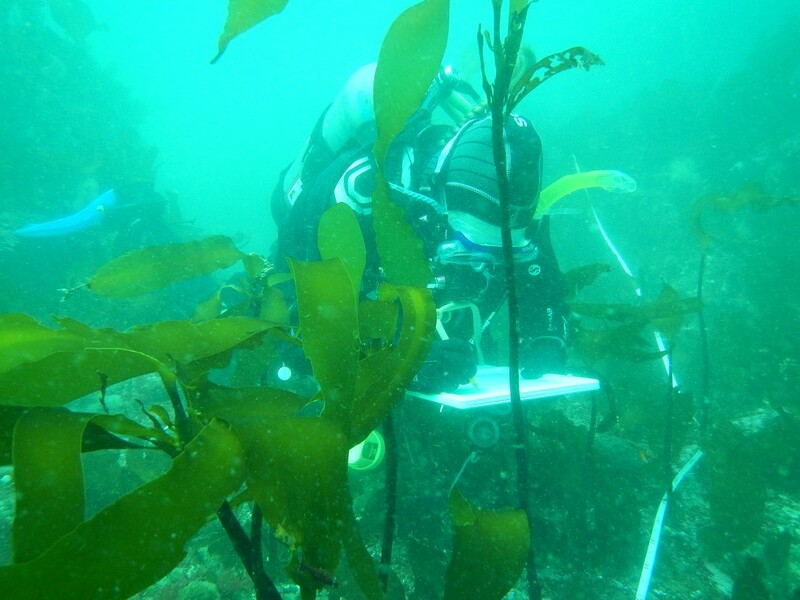 SCUBA dive surveys are one of the four core tools used in the Oregon Department of Fish and Wildlife’s (ODFW’s) monitoring of Oregon’s marine reserves. These dive surveys, unlike ODFW’s other core ecological monitoring tools (i.e. hook-and-line and underwater cameras), allow detailed sampling of marine organisms to be done in person–and there is nothing like firsthand observations of species and the marine environment. However, these firsthand observations are not always easy to obtain. Scientific diving is a complex, task-intensive operation that requires advanced training and skill sets beyond your typical sport diving. Scientific divers are limited by their air supply and tasks must be accomplished within a finite timeframe while adhering to strict safety protocols. In addition, scientific divers must multi-task; juggling data collection with fundamental dive activities in cold, dark waters well below the surface. 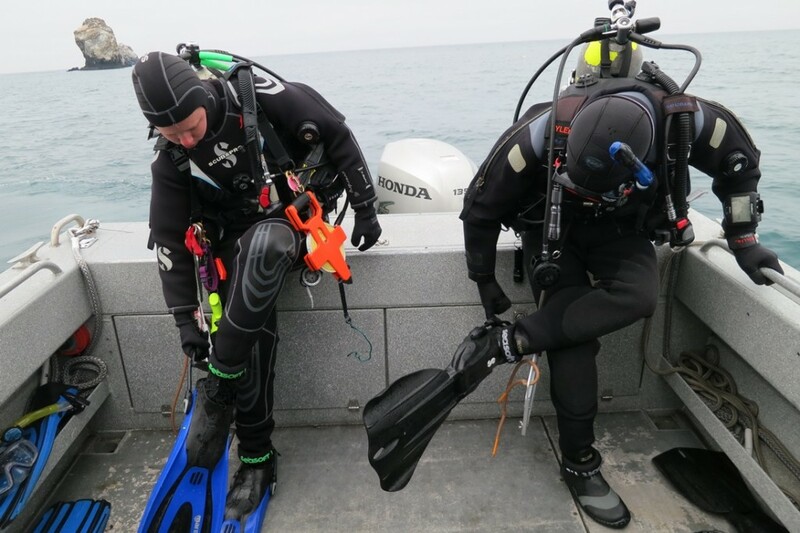 These scientific divers have been trained in using a well-established survey method, developed by the Partnership for Interdisciplinary Studies of Coastal Oceans (PISCO). The method includes collecting data on fish, invertebrates, and algal communities. The ODFW Marine Reserves Program, as well as other scientists along the U.S. west coast, are using this method to gather data that can be used to track changes in species size or abundance over time both inside and outside of marine reserve sites. These data also allows us to learn about relationships between marine communities and their habitats; key information for understanding Oregon’s nearshore environment and how Oregonians might best manage these resources for the future. 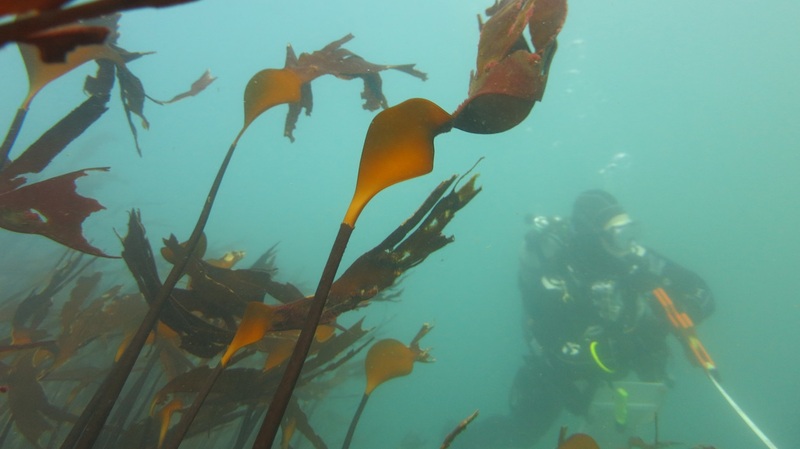 So, what makes Oregon’s Marine Reserves Scientific Dive Team special? First of all, all the divers are volunteers with scientific diving certifications. Second, they must pass a special training put on by ODFW and our partners at the Oregon Coast Aquarium, PISCO, and Oregon State University. Interested in joining the Marine Reserves Scientific Dive Team? The Marine Reserves Scientific Dive Team is currently looking for new members. For those interested, a free two-day training on the PISCO research methods will be offered in February 2016 at the Oregon Coast Aquarium in Newport. 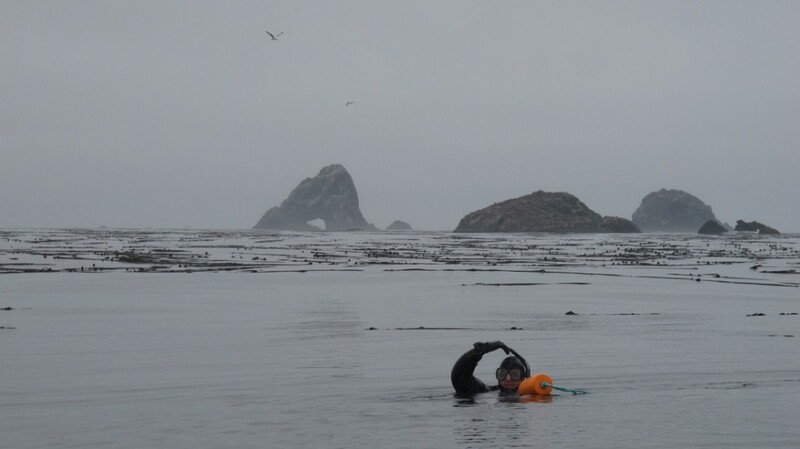 Divers must be a current AAUS scientific diver, own their own annually inspected SCUBA gear (including drysuit), attend both days of training and be comfortable diving in coastal Oregon conditions (low visibility, cold water, surge, etc.). If you’re interested in joining the February training, please email Doug Batson at: doug.batson@aquarium.org. Exact dates of the February training will be determined soon.